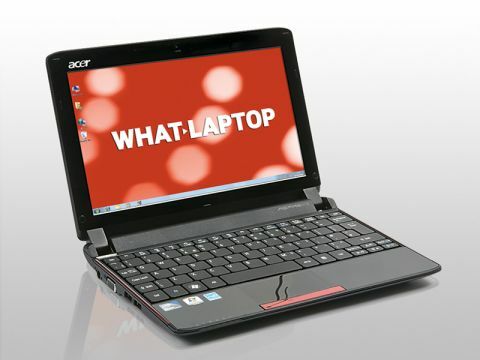 Acer's Aspire One range helped launch the netbook market a couple of years ago and, ever since, it has been adding to and refining its brand. The Aspire One 532 is the latest addition and also one of the first netbooks to feature Intel's latest Atom processor, the N450. The Intel Atom N450 is different to its predecessors because it features both the graphics and memory controllers on a single chip. This is intended to increase battery life as well as processing and graphical performance. By and large, we found this to be the case and this netbook performed a little faster than a machine powered by chips from previous Atom generations. Battery life was significantly enhanced, however, and the 344-minute run-time provides 165 minutes more power than its predecessor, the Aspire One 531. Graphical performance isn't markedly better than machines powered by older Atom processors, but you can still view photos and films without issue. The 10.1- inch screen features a 1024 x 600-pixel resolution which is bright, crisp and clear; but a shiny Super-TFT screen coating has been implemented and is very reflective in bright light. The attractive chassis is well put together and will provide good durability on the road, although the shiny surfaces attract fingerprints quickly. Acer's unique raised-key keyboard design is in place and is comfortable to use. We have an issue with the multi-gesture touchpad though. It is extremely easy to brush when typing, which moves the cursor to a random location on the page, which can get extremely annoying. The 344-minute battery life will keep you productive for over five hours and the small form factor and light weight of 1.2kg make it easy to slip into a bag and forget about. 802.11n Wi-Fi rounds off the specification and helps make the Aspire One 532 recommendable.